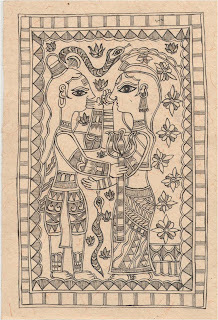 Warning: this post is being written by someone who loves painting Madhubani but is not a professional Madhubani artist. 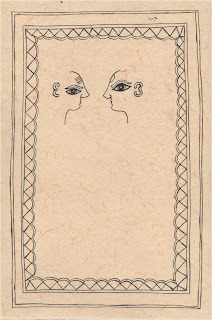 These instructions on how to make a Madhubani are based on some drawing experiences via copying and researching the village art but are not supervised by any Madhubani teacher. This is meant for sharing the already learnt experiences. This post is written by a foreigner who lives in India. * A box of acrylic paint (I use only acrylic at the moment). 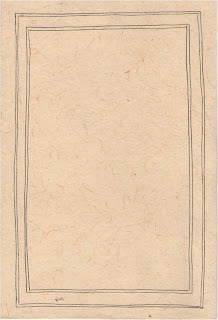 Look at the empty paper in front of you and try to "see" the picture that this paper wants you to paint. You might not see the details but you might feel the main features such as whether the paper should be laid out vertically or horizontally. Should it be the nature scene like a tree and a sun or some human scene. 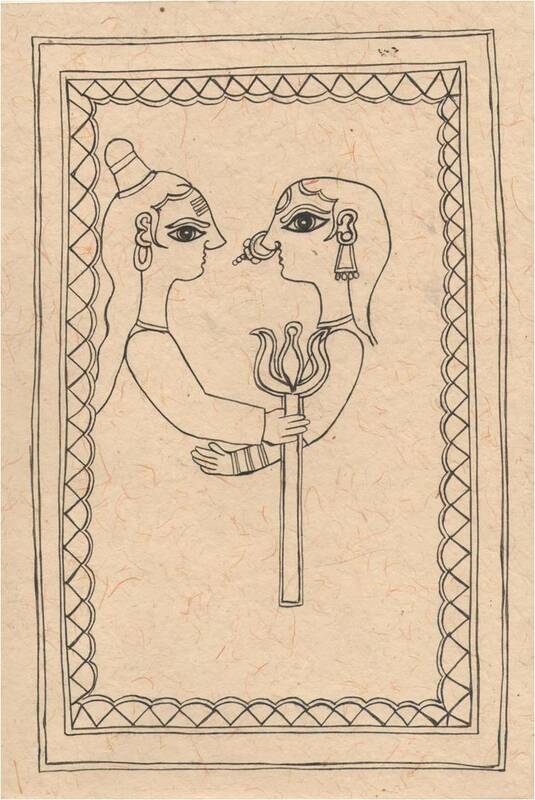 I looked at my paper and saw Lord Shiva and his wife Parvati looking at each other. I would advice not to use the ruler even if it's not straight just for the sake of authenticity and village like feel. 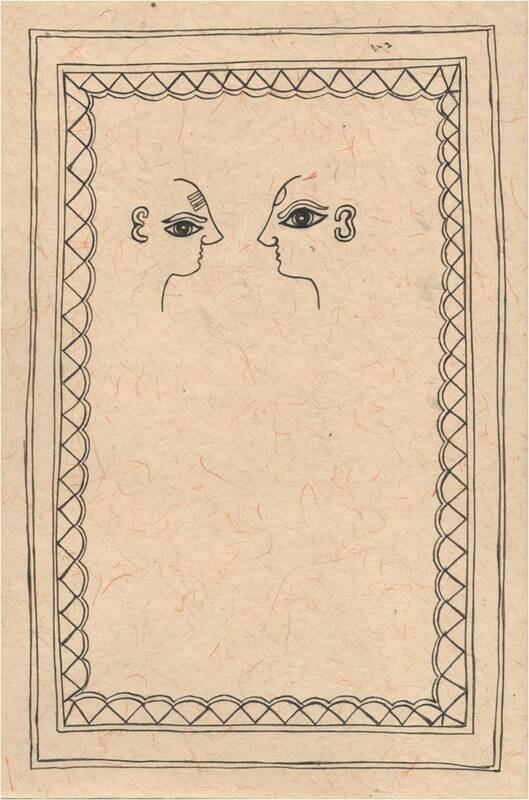 I have seen the artist in Delhi Hath drawing it that way and I would recommend it to you too. 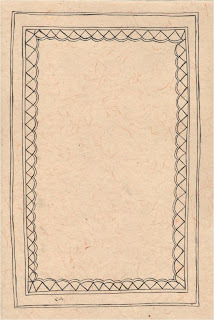 Take your nib and draw a border. Outline it once. Increasing the size of the border will make the picture look grander, heavier, more festive like. You can add unlimited amount of additional borders and design them any way you like. 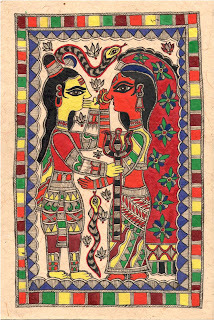 Double lining is what makes a painting a Madhubani painting so use this technique whenever you want to add some more ethnic taste to it. Start drawing faces and eyes...Look at the Madhubani paintings and see what type of primitive face with bulking eyes would you like to draw. 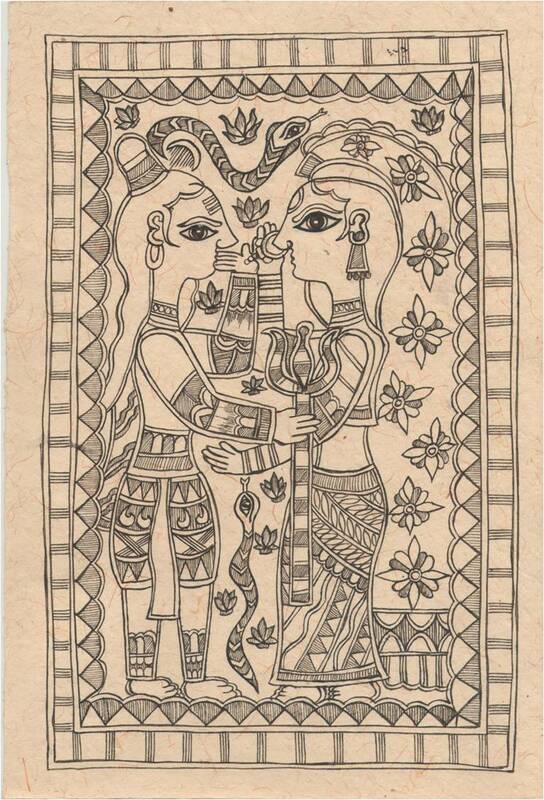 In Madhubani character's functionality and symbolism is more important than the beauty. It is a bit like ancient Egyptian art you find at the Pyramids. Then start drawing hair lines, jewels and things worn on the head...Research about the characters possible clothing, hairstyle and attributes it carries. 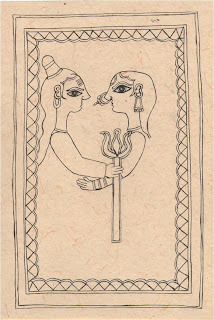 For example, lord Shiva, as a yogi from Himalayas had messy long hair with a bun on top, a yogi tikka (white paste on a forehead), a trishul, fire, 5 snakes on his neck ,a weapon and his wife was a beautiful married woman with a red bindi on her forehead and a huge nose-ring. 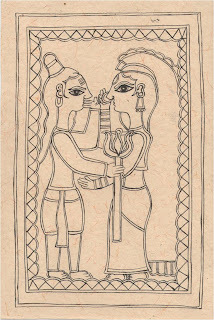 Complete the figures...At that time men and women possibly didn't wear any stitched clothing so the man figure is wearing a dhoti and a woman figure - a sari. 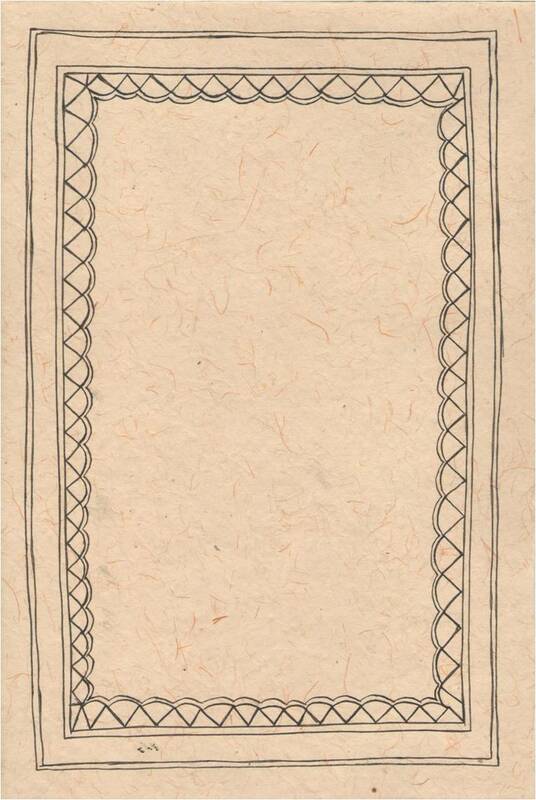 Fill it with geometrical designs and line work. Try not to leave the empty space but keep in mind that all will have to be colored with paint, so it shouldn't be too tough. You can also make your Madhubani paintings black and white. Lord Shiva's attributes such as snakes and fire are scattered around in the background. That is enough to make the viewer understand that this is lord Shiva. Fill in the colors. Use some water if the paint is thick, otherwise acrylic paint can be used as it is. 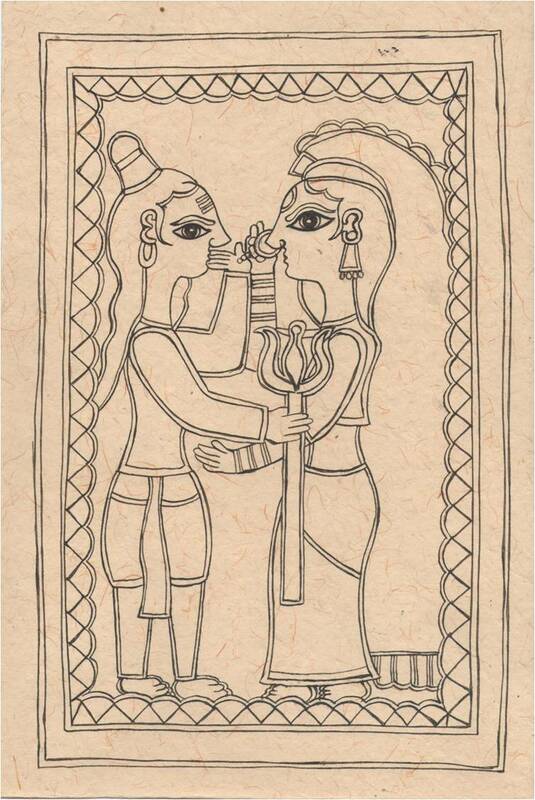 NOTE: I'm OK with you using my drawings the way you want as long as helps you learn the Madhubani painting. They are not *All Rights Reserved*. I've gone through your site and i think your work is amazing. I love your paintings specially shiv-parvati and Radha-krishna paintings.I think you did an awesome job.Well Done!! I've gone through your site and i think your paintings are amazing, I love your paintings specially shiva-parvati and Radha-krishna.I think you did an awesome job . @Thank you, Ruchi for visiting and commenting on my blog! I appreciate your feedback! You're welcome and I'm happy if you find it helpful. Hi, This is an amazing Madhubani painting without any professional training and also thank you for a step by step drawing picture. This has helped a lot. 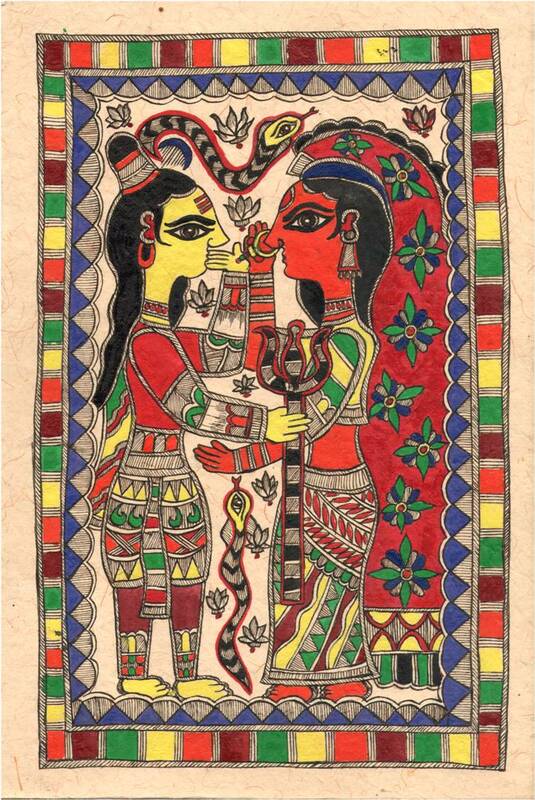 Hope to see some more madhubani paintings from you. I tried the painting following the steps. It came out very nice. I will try other paintings also.i loved this blog. Thank u so much for the clear explanation. i m happy that there is at least one that explained me clearly.thank you so much Lassi. One question I will invest in handmade papers once I become confident. 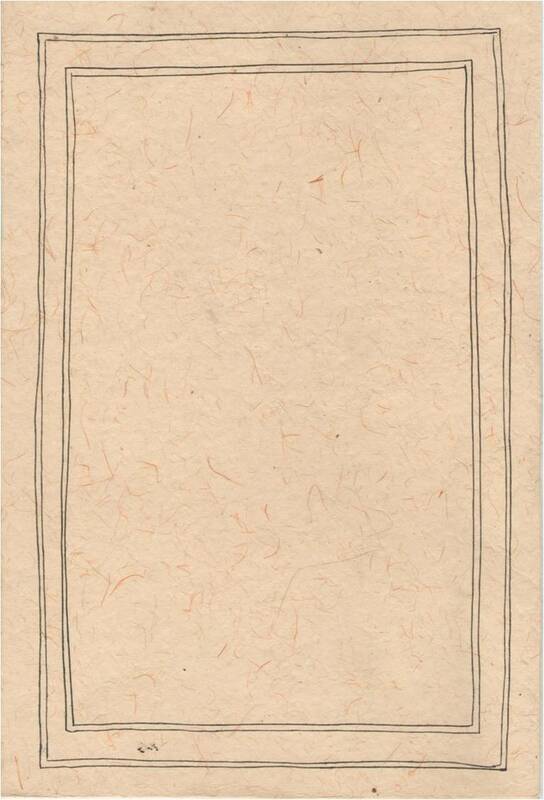 Till then will a simple bond paper look good if I do the tea bag treatment on it? Thanks a lot for ur detailed steps.